- The gaming system is perfect at home, in the car or just about anywhere you can imagine! - Fits easily in your pocket, bag, or backpack! 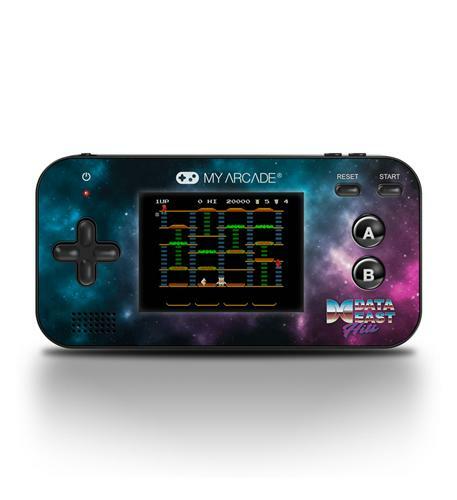 You'll always have your games at your fingertips with the My Arcade Portable Gaming System. - Retro Machine features a realistic 4-way joystick for quick maneuverability plus A & B buttons for jumping, hopping, climbing ladders, dropping bombs, steering vehicles, etc. depending upon your game. 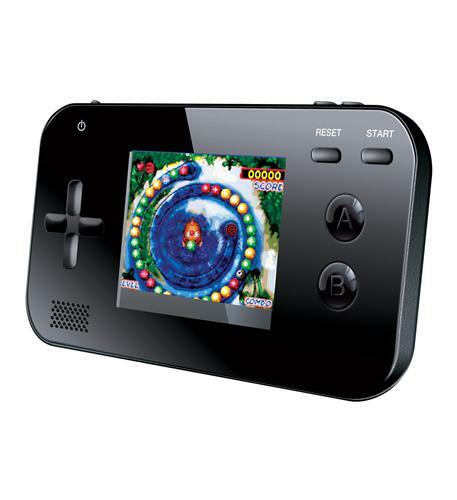 - Other buttons include: START for starting/pausing games; RESET resets the game and brings you back to the main menu; VOLUME provides 4 levels of sound from a built-in rear speaker. 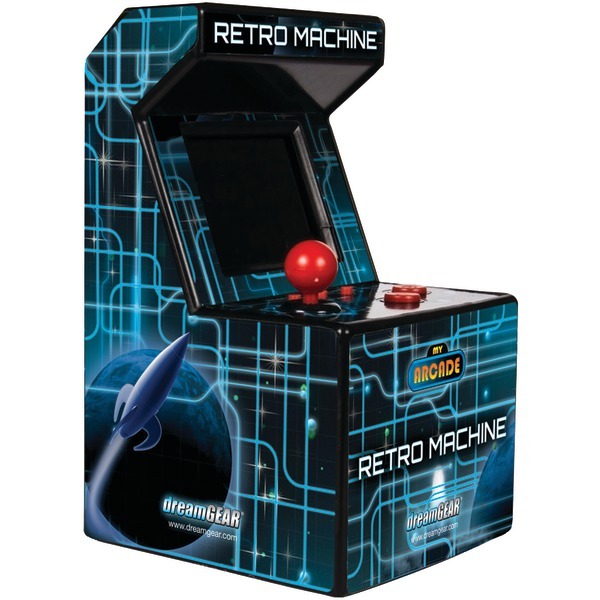 - The My Arcade� Retro Machine gaming system comes with 200 built-in games and requires no expensive game console. 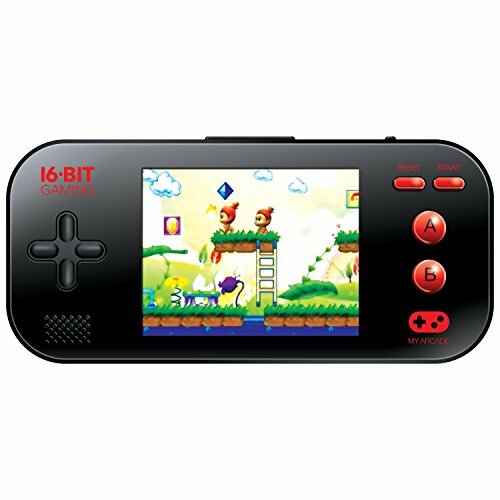 - The Retro Machine is lightweight and easily fits on the palm of your hand and lets you enjoy hours of fun gaming just about anywhere! 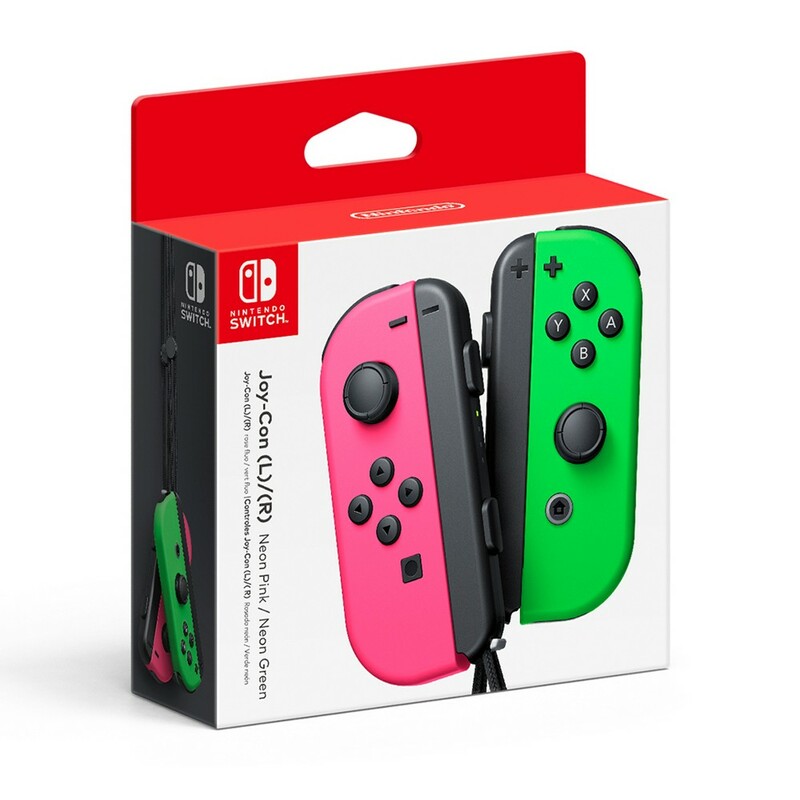 Joy-Con (L/R) - Neon Pink/ Neon Green. Introducing Joy-Con controllers that make new kinds of gaming possible for use with Nintendo Switch. The versatile Joy-Con offer multiple surprising new ways for players to have fun. Two Joy-Con can be used independently in each hand or together as one game controller when attached to the Joy-Con grip. They can also attach to the main console for use in handheld mode or be shared with friends to enjoy two-player action in supported games. Each Joy-Con has a full set of buttons and can act as a standalone controller and each includes an accelerometer and gyro-sensor making independent left and right motion control possible. This item cannot be shipped to APO/FPO addresses. Please accept our apologies. 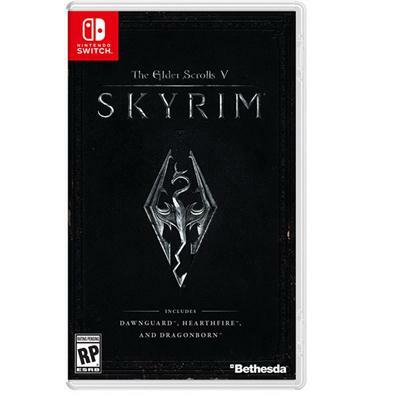 The open-world adventure from Bethesda Game Studios where you can virtually be anyone and do anything now allows you to go anywhere at home and on the go. New features include motion controls gear based on the Legend of Zelda series and amiibo compatibility. Dragons long lost to the passages of the Elder Scrolls have returned and the future of Skyrim hangs in the balance. As Dragonborn the prophesized hero born with the power of The Voice you are the only one who can stand against them. Live another life in another world from battling ancient dragons exploring rugged mountains building a home or mastering hundreds of weapons spells and abilities. For the first time ever in Skyrim go into battle Legend of Zelda style: fight with the Master Sword guard with the Hylian Shield while wearing the Champion's Tunic. The game also includes official add-ons- Dawnguard Hearthfire and Dragonborn. This item cannot be shipped to APO/FPO addresses. Please accept our apologies. The handheld Hyperkin SupaBoy SFC will play original SNES (NTSC AND PAL) and SFC cartridges on a built-in 4.3 inch LCD screen. You can switch between 4:3 and 16:9 aspect ratio by holding the brightness button for 3 seconds. It includes a D-pad and face buttons as well as right and left shoulder buttons. The SupaBoy SFC also includes two front-loading ports that are compatible with full-size SNES-compatible controllers and an AV out. It allows up to two players to play the SupaBoy SFC on a regular TV screen (16:9 aspect ratio only). This item cannot be shipped to APO/FPO addresses. Please accept our apologies. 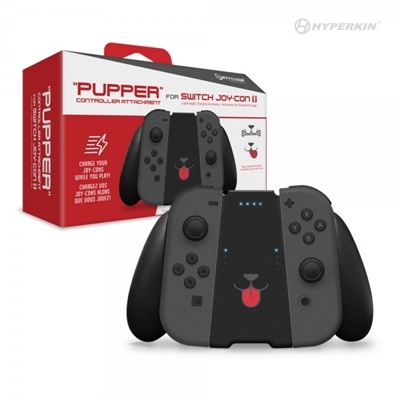 "Pupper" Controller Attachment for Switch Joy-Con - Hyperkin This item cannot be shipped to APO/FPO addresses. Please accept our apologies.